Artist's impression of the Thirty Meter Telescope. State Hearings Officer and former Judge Riki May Amano released a 305-page report on July 26 that recommends a Conservation District Use Permit (CDUP) be issued by the Board of Land and Natural Resources for the TMT project. "TMT welcomes the recommendation that a state permit be issued and we respectfully look forward to the next steps. We appreciate that Judge Riki Amano worked carefully and tirelessly to ensure all voices were heard during the contested case hearing. We are grateful to all our supporters and friends who have been with us during the hearing process and over the past ten years and we remain respectful of the process to ensure the proper stewardship of Maunakea." Work on the telescope on Maunakea was halted in 2015 when the Hawaii Supreme Court invalidated the Conservation District Use Permit issued by the Board of Land and Natural Resources (BLNR) to the University of Hawaii - Hilo to build TMT on Maunakea. At the time the permit was initially granted, a contested case hearing was also approved, as was a stay on construction pending the outcome of the contested case hearing. The Supreme Court returned the case to the Hawaii Circuit Court and instructed that a new contested case hearing be conducted before the Board. The contested case got underway in October 2016. Following 44 days of testimony by 71 witnesses over five months, that hearing concluded in early March 2017. 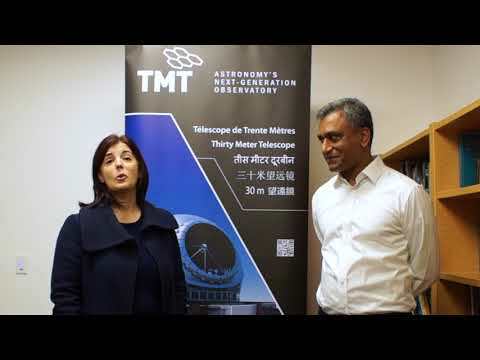 Over the last 10 years, TMT has followed the state's laws, procedures and processes in its efforts to build TMT on Maunakea. More than 20 public hearings have been held since 2008. An EIS was completed and approved. For the complete timeline, visit http://www.maunakeaandtmt.org/background-information/. The BLNR has issued an order setting briefing dates and a date for arguments on whether they should accept reject or modify Amano's proposed decision on the CDUP. Exceptions to the recommendations are due no later than August 21, 2017, and responsive briefs to those exceptions may be filed no later than September 11, 2017. Oral arguments will be held on September 20, 2017.